Chi (Qi) the word qi, pronounced chee, is sometimes spelt “chi.” In this section I will spell it as “chi” to keep it consistent with Tai Chi. George Soulie' De Morant was one of the first of numerous German, French and European scholars who encountered the word chi and attempted to write discourses on its meaning and its implications. George Soulie' De Morant was born in Paris in 1879, and studied Traditional Chinese Medicine in Yunnan province. After many years of studying, he was the first Westerner to be awarded a Doctorate of Chinese Medicine by the Chinese, and in 1917 returned to Europe, dying in May 1955. He wrote two books on T.C.M (Traditional Chinese Medicine) they were “I' Acuponcture Chinoise” and “Palmistry Chinoise.” His translation of Chi is considered one of the first and most accurate translations of Chi. The everyday translation of Chi from a Chinese/English dictionary means vapours or gases. The Chinese character or ideogram for Chi is a pictogram of a cauldron on a fire with the lid half lifted by the pressure of the escaping vapor. The Chinese call cars “Chi Che”. Translated it means “vapourish carriage.” However the Chinese Traditional Medical Word - Ocean Dictionary has a slightly different and specialised translation, but the description is virtually the same as that of George Soulie' De Morant nearly a century earlier. He defines Chi as vital energy or energy. This form of Chi is in reference to medical arts such as acupuncture, herbalism, massage and bone setting. So the meaning of the word Chi will change, depending largely on the context in which it is used. This is where the problem lies. When George Soulie' De Morant first translated the word “chi” it was in reference to acupuncture and the chi that flows through meridians. Meridians are “arteries and veins of energy” that flow through the body along which acupuncture points are positioned. These meridians, and the theory behind these meridians. help you to understand the process through which T'ai Chi improves one's health. Soulie' De Morant translated correctly what chi was in relation to acupuncture, and this translation of chi went from Chinese to French and from French into English. Therefore this translation of chi became the standard translation so that whenever the word chi came up in T'ai Chi literature it was grouped into the Chinese Traditional Medical Word Ocean Dictionary translation of chi - the chi that moves through the meridians. In most T'ai Chi literature, whenever they refer to chi they tend to refer to the chi that flows through the meridians, or breath, as these forms of chi are both important to life. I feel that they tend to neglect the other forms of chi. 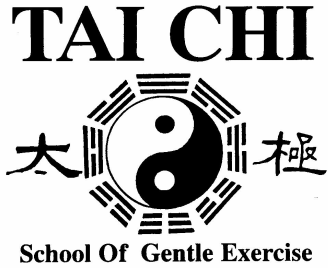 ​Another form of chi is the chi of the earth, (gravity) without this one no movement in T'ai Chi would be possible. I feel this form of chi is not given enough emphasis in most T'ai Chi literature, and is given only token recognition. When someone wishes to talk about or refer to chi (energy) they first need to be specific which form of chi they are referring to. If I were to say that the weather is quite cool today, I would be referring to the temperature of the day. But if I had said that Steve is quite a cool guy, then I would be referring to his attitude and his persona. In both instances I've used the same word, but having two totally different meanings. Remember language is a living entity and is constantly changing and evolving. Words are dropped, new ones are invented, and established words have their meaning changed. If I were to give a book titled The Rights Of Gay Men & Women to a person from the 1920s they would assume I had just given them a book on a person's right to be happy. Even the Chinese have a lot of difficulty understanding their own written language, writings of only a couple of hundred years ago, because they need to know what context the Chinese characters are being used in. Therefore a lot can, and has, been mistranslated from old Chinese to modern Chinese, and from modern Chinese to English. So when a translator is translating between Chinese to English not only do they have to be fluent in Chinese and English, they also have to be a specialist in the subject that they're translating. My T'ai Chi teacher Wee Kee Jin has in his possession large volumes of notes on T'ai Chi written by his teacher Master Huang. To translate these notes into English is very labourious because it's not as simple as hiring a translator to translate them into English. The Master's dialect was a mixture of various other dialects, and more importantly you have to understand the context of the words that he uses, and be familiar with his theories on T'ai Chi. So even a person from another T'ai Chi school probably wouldn't be able to translate the full contents correctly. It would have to be someone who is not only fluent in Chinese and English, but also someone who has trained under him for a number of years and is familiar with his methods, concepts and his theories on T'ai Chi.